The following draft of an “isolation order” was discovered on the CDC’s website. It is a template for state and local officials to impose quarantines and what would effectively be martial law. Failure to obey will result in imprisonment without bail prior to trial and the possiblity of a two year prison term. 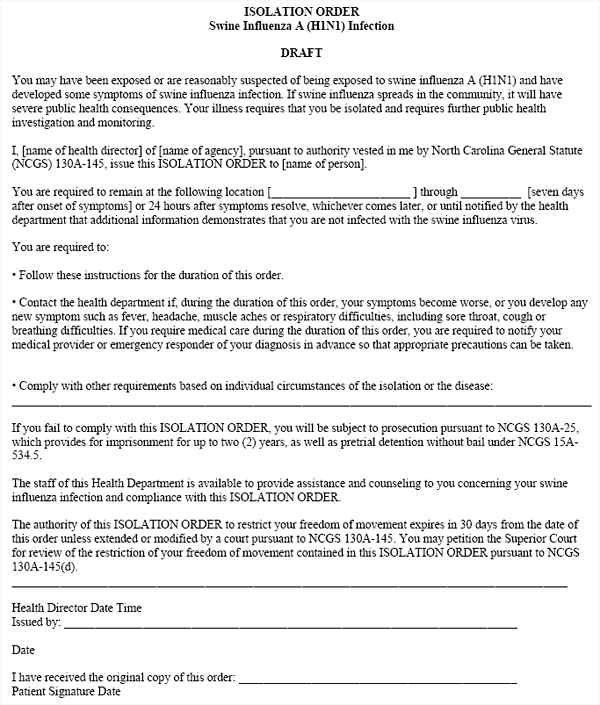 In other words, according to this document, officials can impose quarantine without evidence that somebody is actually infected with a virus that is now negligible at best. It may also be used to quarantine potentially millions of people suffering from any number of illnesses — or not suffering from any disease at the discretion of the state — that have nothing to do with H1N1. It is basically a carte blanche for martial law under the cover of protecting the public from a communicable disease that is demonstrably a manufactured and weaponized threat.